Mexico's Economy Minister Ildefonso Guajardo met with several U.S. lawmakers this week. 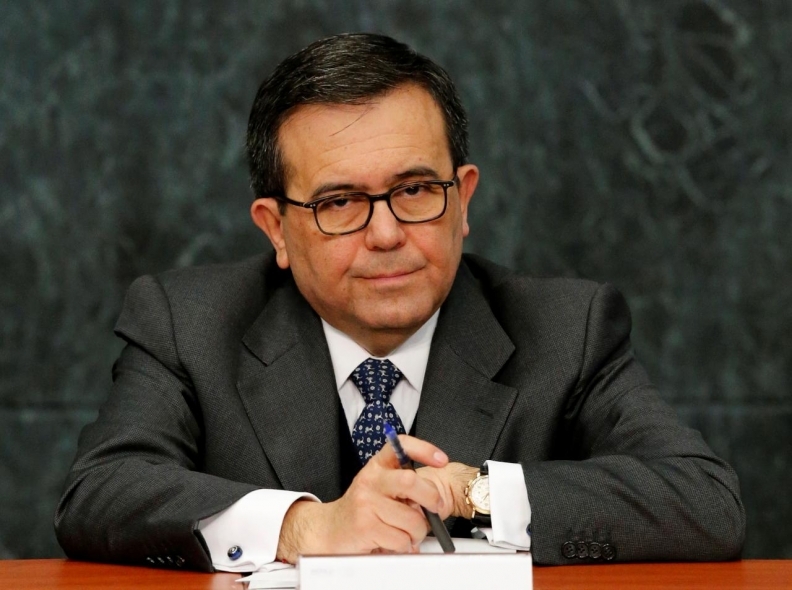 WASHINGTON -- Mexican Economy Minister Ildefonso Guajardo says demands by the Trump administration for a U.S.-specific automotive content requirement in NAFTA was “not viable,” and declined to specify when Mexico would formally respond. At a news conference following a series of meetings with senior U.S. trade officials and lawmakers in Washington on Wednesday, Guajardo said that Mexico was still trying to understand the U.S. proposals that would require 50 per cent of vehicles’ value content be produced in the United States as part of updated North American Free Trade Agreement rules. House Speaker Paul Ryan said after meeting with Guajardo earlier on Wednesday that congressional Republicans “are determined” to strengthen trade ties with Mexico. Guajardo said he discussed with Lighthizer on Tuesday how to move the talks toward consideration of potential “rebalancing” outcomes. But first, he said Mexico needed to be clear with its American and Canadian counterparts about unacceptable proposals and its priorities for keeping the pact beneficial to all parties. At a more limited round of NAFTA talks in mid-December in Washington, Guajardo said it was important to agree on key issues in order to close some NAFTA chapters such as those on food safety, telecommunications, regulatory practices, and digital commerce.